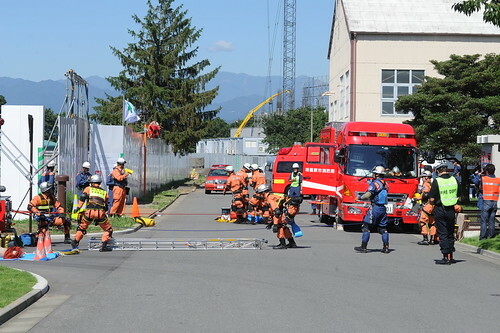 The full-scale exercise was conducted at Camp Zama from July 16 to 18, which was meant to evaluate the installation’s comprehensive response to a variety of hazardous and disaster scenarios. The scenarios were included such as an earthquake, a hostage situation, and a hazardous material spill. We are the Army’s home in Japan and the "Garrison of Choice" for Soldiers, Civilians and their Family members. We are committed in becoming the leader in the U.S. Army Installation Management Command by providing world-class installation services. This entry was posted in Exercise and tagged 2012, camp, Exercise, fullscale, Zama. Bookmark the permalink.